The Children's Hospital of Philadelphia's unique new Young Adult Hip Preservation Program is designed to preserve, adjust or restore natural hip function and allow adolescents and young adults to resume their busy lifestyles. The Children's Hospital of Philadelphia's Young Adult Hip Preservation Program will be led by pediatric orthopedic surgeon Wudbhav N. Sankar, M.D. The Children’s Hospital of Philadelphia (CHOP) launched a new Young Adult Hip Preservation Program, a unique program specifically for young adults with complex hip disorders. Unlike most programs at CHOP — which are tailored to younger children and their families — the Young Adult Hip Preservation Program is designed to meet the needs of adolescents and young adults (age 15 to mid-30s), who are physically active and old enough to be involved in making their own healthcare decisions. Many teens and young adults worldwide suffer with congenital, developmental or post-traumatic hip disorders. Left untreated, these often-painful conditions can lead to early hip replacements in otherwise active and healthy individuals. Nearly 50% of all hip replacements done in the United States are for congenital, developmental or post-traumatic hip disorders, and could benefit from hip preservation treatment. CHOP’s new program is designed to preserve, adjust or restore their natural hip function and allow them to resume their busy lifestyles. 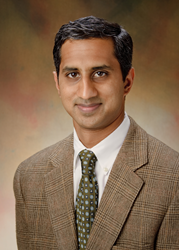 CHOP’s Young Adult Hip Preservation Program will be led by pediatric orthopedic surgeon Wudbhav N. Sankar, M.D., one of a small group of surgeons in the country who perform complex hip procedures such as the Ganz periacetabular osteotomy, surgical dislocation of the hip, and head realignments following slipped epiphyses. The Program’s specialists are also actively researching the conditions that cause hip deformities, investigating new surgical techniques, and tracking long-term outcomes for patients with hip disorders.